So VM won this most prestigious of awards for the Speed of Light event, celebrating ten years of broadband in the UK. Lasers by UVA and photography by Tom Oldham. 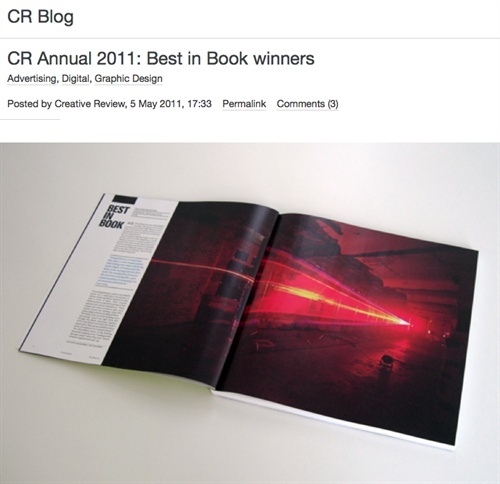 Creative Review obviously loved it and scoring a DPS with my shot was a proud moment for me, I have to tell you. Well I don't have to, but the unrelenting nature of self-promotion demands that I at least shout about it on here.